A world light is an infinitely remote light source casting orthographically projected beams onto the scene. The shadows cast by this light are parallel, which provides a realistic simulation of the sunlight. World light shadows has an adaptive bias that is adjusted automatically on shadow maps applying: depending on the slope angle of the world light and its resolution, an offset of the depth value stored in the shadow map is calculated. On the Menu bar, click Create -> Light -> World. Place the world light somewhere in the world. The physical position of the source is not important, only the direction matters, as it defines the shadow casting orientation. 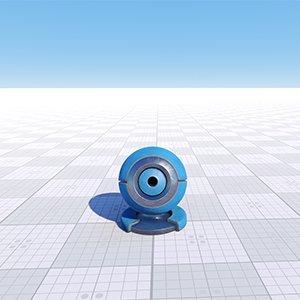 To change the light's direction use the rotation manipulator. Adjust the world light's settings. 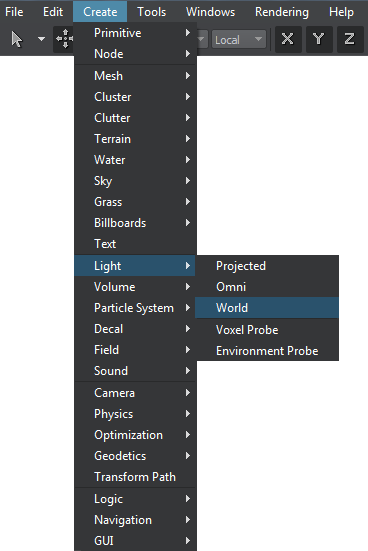 The following set of options is available for the world light in the Node tab of the Parameters window. It includes both the common parameters and the parameters specific for the world light source. The specific ones are described below. None — render the atmosphere as if there were no global lights, that is, there will be no sky color gradient in any direction. 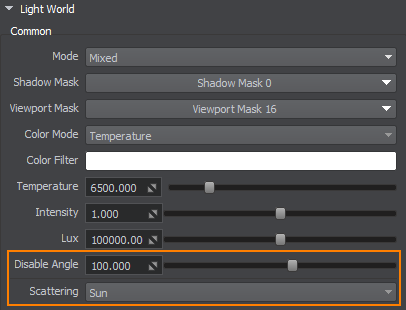 Sun — render the atmosphere in accordance with the Sun's lighting. Moon — render the atmosphere in accordance with the Moon's lighting. Enables or disables the PSSM technique. 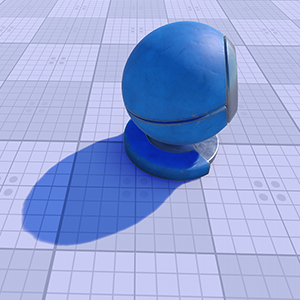 Size of the shadow map that defines shadow quality. Dynamic - In this mode shadow cascades are built dynamically relative to the camera's position making it possible to change the time of day (day-night cycle). Static - In this mode shadow cascades are built relative to the light source's position and baked. 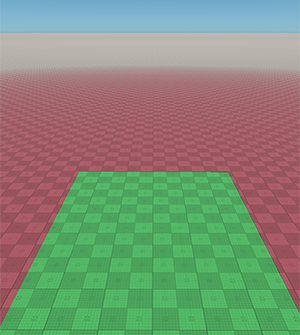 This mode is suitable as a performance optimization technique for small-area ArchViz projects where shadow cascades can be divided into 2 sections: walkable area with high-resolution shadows (as they're observed closely) and non-walkable area with low-resolution shadows (as they're observed from a distance). Changing the time of day is not available in this mode, as shadow cascades are baked. 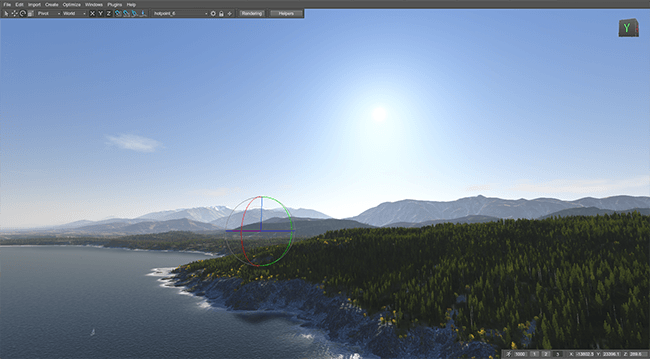 A number of cascades with different shadow maps. Each cascade requires a separate rendering pass. All the shadow maps have the same resolution (the Shadow resolution parameter value), but are applied to different cascades. 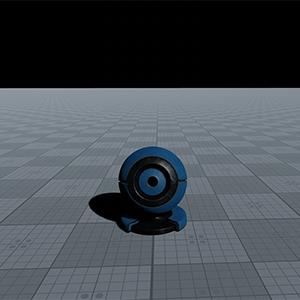 Thus, close-range shadows are of higher quality and distant ones of lower. The minimum number of cascades is 1, the maximum is 4. 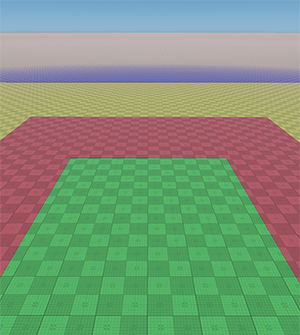 Increasing the number of cascades enhances the rendered image quality. However, at that, performance efficiency drops. To visualize the cascades, enable Helpers -> Shadow cascades. For 1 cascade, there is no cascade border. For 4 cascades, there will be 3 cascade borders (for the first three cascades). For the last cascade, the multiplier is always 1. Setting the cascade borders allows you to accurately adapt the quality of the shadows depending on their remoteness from the viewer. Decreasing the multiplier value makes the cascade smaller, more compact positioned and covering less distance. At the same time, the resulting shadow is of a higher quality. Increasing the multiplier value makes the cascade larger with broader coverage of the area.